Co-ordinates were same as those posted. 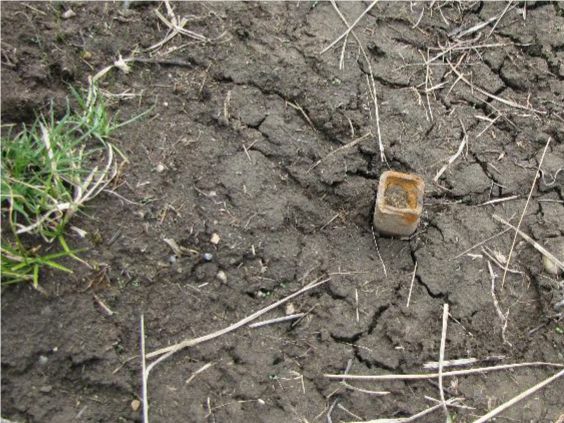 This cap appears to have been surgically removed (scalped) during extensive excavation work in the ditch. 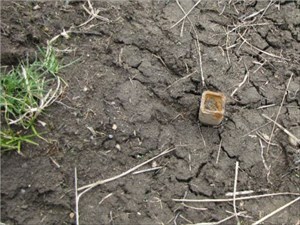 The iron post remains, but no cap was evident. After, finding the remains of the cap I began my long drive home. Thanks again ofth (10 caps and 430 kms today). The cap shot (sort of, that is).